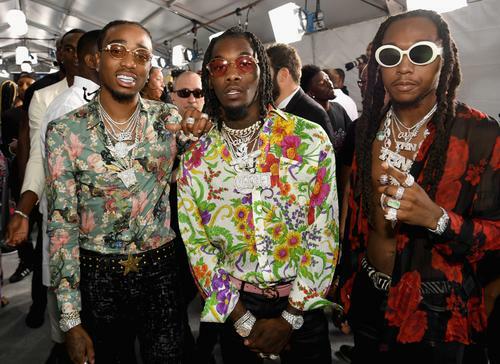 Home » entertainment » Quavo Teases Release Date For Migos' "Culture III"
Quavo may have just released his solo debut album a few days ago but the artist is already looking ahead to the future. Quavo Huncho is expected to be the second-highest selling album of the week in its first week out, which is a success for the Atlanta rapper. The project has been critiqued at length but people still tuned in to listen as Huncho is expected to move up to 110K copies. He may be promoting the album during a press run but he's also allowing his fans to get prepared for what's to come in the future. We know that Takeoff and Offset are both planning their own solo projects but as a whole, the Migos will always be a successful trio. Their last album Culture II was released this year and it's been criticized for being too long. Perhaps the next full-length will be more attuned to those with shorter attention spans. Quavo spoke with Associated Press about the next Migos album, teasing an early 2019 release for the group. He said, "We’ll be at the top of 2019. We’re going to hit them with Culture III." He also explained who is next up to release as part of their solo takeovers. "Takeoff will be next and [then] Offset will come," revealed Quavo. There's no word on when the group's collaborative project with Drake is dropping but we're hoping that's still in the works. Read the full interview here.